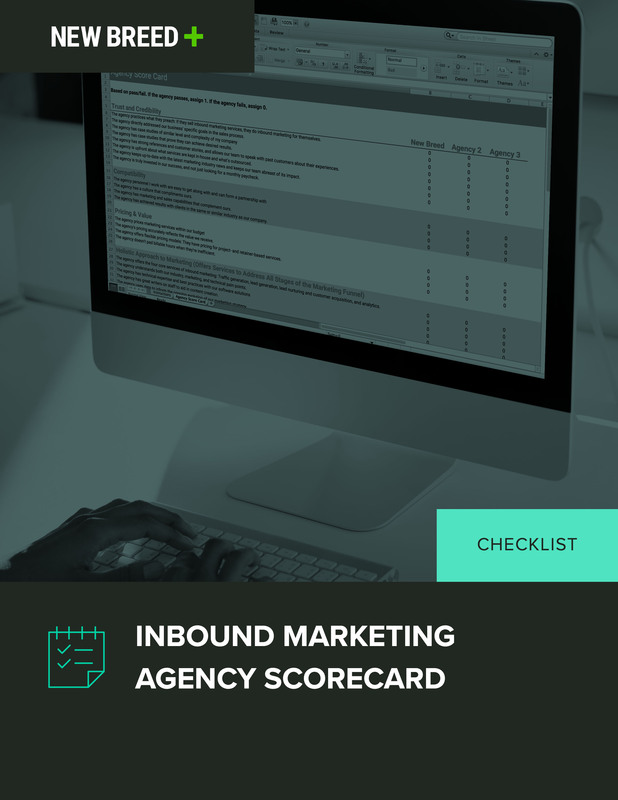 Deciding to hire an inbound marketing agency to augment the efforts of your internal marketing department is a big decision, and is not to be taken lightly. Choose wrong and you're sure to have months of pulling your hair out, micro-management and poor results. Choose right and you can enter into a successful long-term relationship where the agency becomes your trusted partner and delivers quality work, on-time and budget while proactively bringing further areas of opportunity to the table. To download the score card, fill out the form on the right!